It is Made From Burnished Bone. 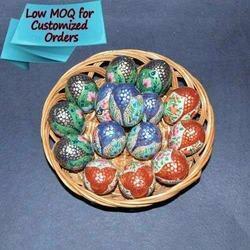 Leveraging on the ability of our assiduous personnel, we are actively engrossed in bringing forward a wide consignment of Decorative Easter Eggs. These products could be availed from us at highly affordable costs that too in bulk orders.